Waterfront homes fit a particular lifestyle that many homebuyers are seeking today. But just like any other type of home, homes on the water are not all created equal, and you really must be a diligent shopper to ensure that you end up thrilled with your purchase. Most waterfront homes in Tallahassee offer wonderful views, access to wildlife, and limited fishing and boating use. While there are some large lakes and decent rivers in Tallahassee, most “Lake Front” homes are really homes on small ponds that offer some decent fishing but no real boating opportunities. Occasionally, we produce a home valuation report that compares homes on the water to homes that do not have waterfrontage. 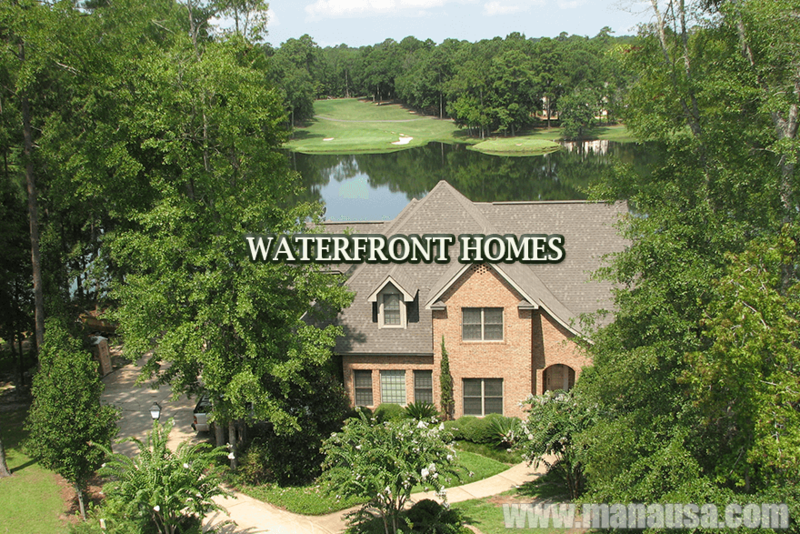 You can see by CLICKING THIS LINK that waterfront usually sells at a premium. Many homes on the water in the Tallahassee real estate market fall within the 100 year flood plain and require additional flood insurance from your mortgage provider. This added cost, when compared to debt servicing, reduces your buying power (or adds to your costs) when buying a waterfront home. The amount is typically not very high, but you certainly want to check this out during the due diligence period of the contract. Tallahassee is already a highly humid place, so living on the water is only going to add for concern about the moisture and pests one might find in and around the home. Make sure you hire a highly qualified home inspector and WDO inspector who will each take the time to go through the property looking for problems. I once owned a lakefront home with a western exposure to the rear. Come around 5:00 p.m. every afternoon, looking in the back yard felt like a being locked up in a prison interrogation. The light and heat were blinding. Make sure you are happy how the sun will impact your property and make sure the corrective actions you plan to take regarding the sun do not push you past your budget. Some lakes exist within one or more neighborhood where associations control access and use of the lakes. Regardless of what the appearance might seem, ensure that you use your due diligence period to examine all rules which may impact the use of the water on which you plan to buy. You really don’t want to learn, after the fact, that your perfect jet-ski lake does not allow gas engines. Or perhaps that all of the septic tanks of the non-sewer neighborhood to the North drain into your body of water, right? We have created a simple process that is designed to show you a better way to buy a waterfront home in Tallahassee. It is filled with all the information and methodologies that you will need in order to save money while also being completely satisfied with your home purchase. Buying a waterfront home is going to be a significant purchase for most people in Tallahassee. There truly is a difference between a GREAT REAL ESTATE BUYER’s AGENT and the typical real estate agent in town. Before you commit to buying a home, please come in and let us interview for the job of being your buyer’s agent. You’ll be glad you did, whether you choose to hire us or not!